A Venetian bauta mask featuring an impressive stucco arabesque and gold leaf on top of a cartapesta base. Glossy pearly acrylics for colors. 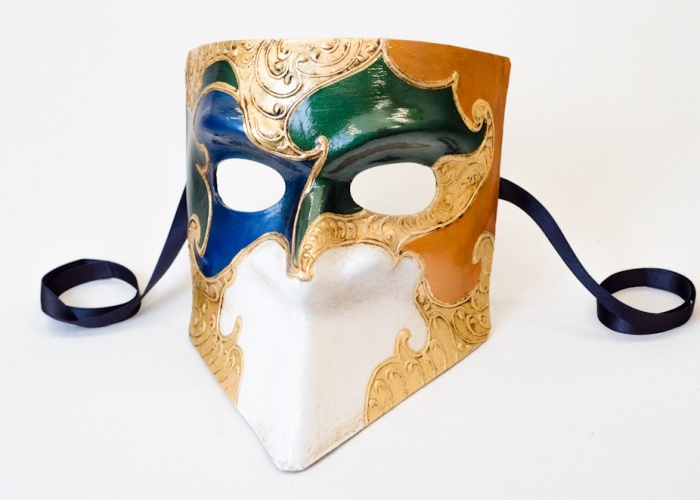 This unique decorated version of the classic Venetian bauta mask is made complete with a coat of water-based glossy finish.